What’s the one thing you always tried to have look stylish since before you can remember? Think long and hard. Shoes? Maybe. Clothes? Close. What about backpacks? I think we have a winner! Growing up, you always wanted to make it a point to have a really cool backpack, to show off to your friends, and take wherever you go. While some people liked the original two strapped backpack, others went the route of the rolling pack on wheels. It was a bold statement. Ask any kid, they’ll tell you that backpacks makes or breaks your reputation in school. While this may not necessarily apply to you as an adult, or in the work place, people still have opinions on a lot of things. So, why not make sure that the backpack that you pick is just the right one. 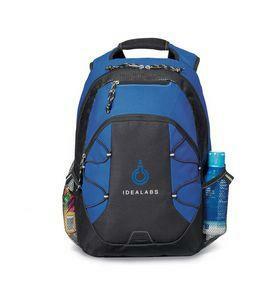 What type of backpack do you typically like to use? Are you more of a drawstring backpack person? Maybe you enjoy the original double strap? Rolling backpacks are still trendy and a thing, so what’s stopping you from getting one of those? All of these different types of backpacks are available on BRAVA’s website, completely customizable, and 100% made just for you! WRONG. Who says you can’t be an adult and still use a backpack?? Whoever you’ve been talking to must not be using a BRAVA custom designed backpack! So clearly they are not the right people to talk to. Trust yourself, get an awesome backpack, you’ll definitely thank us later. To check out all of the different backpacks available and how to customize them, click right here! What’s that one thing that you need to have right when you wake up? Some people say “Oh, don’t talk to me until I’ve have my morning–“. You can’t go wrong with a good ol’ cup of joe. Well sometimes you just don’t have the time or energy to sit down at the table before work and have a nice cup of coffee before you have to leave. Good thing BRAVA offers customizable travel mugs, right? Since sometimes you can be running short on time, it always helps to have a trusty travel mug to help you get through the day. Something that keeps just what you like to drink at just the right temperature sounds pretty nice, right? Don’t you hate it when your drinks get cold on your commute to work, or when you’re taking a road trip with a loved one or best friend? Well fear no more! Whether you’re looking for a stainless steel mug, a mason jar for on the go drinks, or a chrome finish, you can find exactly what you need on BRAVA’s website! 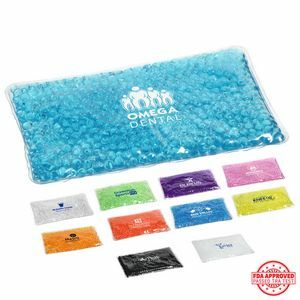 Not only can you use this for your own personal needs, but this would make an amazing gift! Struggling to come up with just the right gift at the office? Maybe it’s Secret Santa and you’re all out of options? 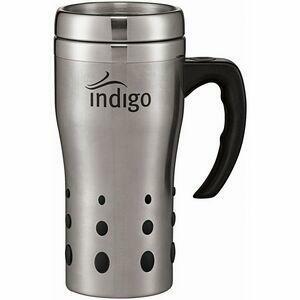 Travel Mugs make the perfect company gift! You can give that friendly co worker as awesome travel mug, and they can show it off where ever they go, with their company logo right on the front of it! It’s a win-win scenario! To check out all of the different travel mugs available and how to customize them, click right here! Remember back in the day, when you would go to a friends Birthday party, an arcade, or even Trick-Or-Treating? One of the fun things you got to use were glow sticks. There was always something cool about being able to crack them to light them up. Sometimes when you cracked them too hard, it looked like you had radioactive slime leaking out. Now imagine the same fun that you had as a kid, but as an adult. Why not! They’re nostalgic, and to be honest, who doesn’t like having something that glows in the dark? Kids love them, parents used to use them, and they’re a fun little alternative to using something like a flash light, if you were to go camping. Not only that, but glow sticks are eco friendly, not using any gas or electricity. Wouldn’t you like to slap on the logo of your company, and give these out at your next company party? Branding each type of glow stick takes no time at all, and makes a great gift for a co worker, friend, or family member! To check out the wide variety of glow sticks available, click right here!